SUVs – we just can’t get enough of them. It seems as though it’s every five minutes another sports utility vehicle is launched, promising its maker huge sales and a whole new army of happy customers. You can’t help but wonder, how did we get to this point? Well, it could easily be argued that the origins of the SUV boom can be traced back to North America in 1998, when Lexus introduced its ‘RX’. Huge success followed, and the SUV ball got rolling. To date, more than 2.4million Lexus RX’s have been sold worldwide. Now the Lexus RX is into its fourth generation, and as one of the original SUV band members, much is expected of it. This is the Japanese brand’s bread and butter, so in theory, this is the car that Lexus should do best. So, why exactly is the new Lexus RX 450h the car Lexus should do best? Take even a short drive with the new SUV and you’ll find answers to this question. The reputation Lexus has built for offering refinement, luxury, and comfort is all on show here, starting with the hearts under the metal. The ‘h’ in the name may give it away, but the Lexus RX 450h is powered by a combination of petrol and electric – petrol in the form of a 3.5-litre six-cylinder engine, and electric in the form of an electric motor on each axle. The result is a combined power output of around 312PS, but that isn’t the whole story. Lexus knows that with a hybrid setup there is a greater sense of refinement. The engine is very quiet and smooth on pick up, only really starting to purr when your right foot pushes hard on the throttle. When it does make noise it’s very pleasant too; a distinctly six-cylinder sound emanates from the bonnet. It makes a great change from the chatter and rumbles of diesel engines found in its rivals. The refinement of the powertrain makes this a brilliant cruiser, and the comfortable and soft set-up of the ride adds to this sense of composure on the road. The Lexus RX 450h can soak up and disperse the irregularities in our road network with great ease, always providing the driver and passengers with a relaxing driving experience. It doesn’t just do comfort though; the all-wheel-drive system provides buckets of grip in corners and otherwise unpleasant conditions, so there’s genuine road security on top of the sophistication. There can be no doubt that Lexus is at this time providing some of the most modern and forward-looking designs on the car market. The design department is on fire, but whether the work of the Lexus design team is to your taste is all a matter of personal opinion. Whatever you may think of it, there’s no disputing the fact that the Lexus RX 450h stands out from the crowd. Inside, there is more of the well-engineered luxury finish that Lexus has built such a solid reputation for providing. The quality of materials and finish is outstanding, and it really does feel special, even if it doesn’t quite look as modern as the striking exterior. Of particular note is the seating, with soft, supple leather covering tremendously supportive cushioning and side bolstering – they are, of course, electrically adjustable also. 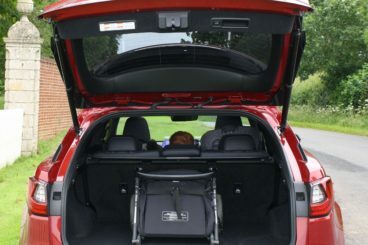 In the back, there is plenty of head and legroom for passengers and there’s also a helpful flat floor, with no transmission tunnel in the centre, meaning a third seat is a viable option. Building on the practicality in the rear is the boot. Usefully, it has a flat lip, allowing the loading of heavier objects to be made a little bit easier, and with 539-litres of space, there’s bags of room. The rear seats can be folded away to provide even more space – 924 litres to be precise, which looks as if it is about the same size as a small aircraft hangar. Lexus has always been pretty well behaved when it comes to offering options, instead of asking customers to pick a trim level that suits their personal needs. As a result, standard equipment levels are very strong, and options are limited. There are four trim levels on offer; SE, Luxury, F-Sport, and Premier. All trim levels come with leather heated and electrically adjustable seating, dual-zone climate control, satellite navigation, DAB digital radio and speaker system, a reversing camera, and LED headlights. Luxury adds – amongst other things – a wireless phone charger, and upgrades the touchscreen to the larger 12.3” screen. F-Sport changes the look of the Lexus RX 450h into something a little more aggressive and sporty, but also adds the excellent adaptive suspension system. The top level of trim is Premier, which adds extra tech, such as the 360-degree view system and ventilated seats to the F-Sport level. Whichever trim you end up choosing, don’t expect to be gifted with a snazzy infotainment system. Sadly, Lexus’s best efforts aren’t up to the standards of its rivals; it looks dated and isn’t particularly easy to navigate around either. The new Lexus RX 450h’s low CO2 outputs will be a hit with those looking to purchase one for business use, and it is certainly pretty powerful for a car with such low emissions. The top selling ‘Luxury’ trim can be on the company driveway for around £500 a month with a £3,500 deposit on a Business Contract Hire, with ‘F-Sport’ trim level coming in at around £20-30 a month more, with a slight increase in initial payment. For the private buyer, you’ll need at least £11,000 worth of deposit to get the Lexus RX 450h F Sport for £600 a month. Naturally, the lesser specs will set you back less, but be prepared to hand over a sizeable deposit to get the monthly costs down. Personal Contract Hire lease costs start at around £500 a month with six months of deposit thrown in at the start, but don’t expect to get many miles or a trim level above base ‘SE’ for this sort of price. 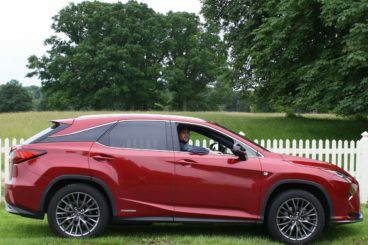 Lexus has gone all-out with the modern styling across its entire range, but it could be argued that the Lexus RX 450h wears this new style the best. It makes the other cars in its segment look uninspiring and timid, and is very well proportioned. Bravo, Lexus! The fit and finish of the Lexus RX 450h is simply fantastic. This will give any of its rivals a run for their money in terms of overall quality; the car just oozes class and feels like it has been put together by a team who really care about the results of their labours. There just aren’t many cars as comfortable as a Lexus, and again the Lexus RX 450h shows off its maker’s panache for delivering a brilliantly cushy ride for both drivers and passengers. The ride is excellent, the noise levels low, thanks to that hybrid powertrain, and let’s not forget those wonderful seats. Okay, so the hybrid setup has a lot of benefits but there’s always been one big downside to hybrids – they never managed to achieve the quoted economy figures out in the real world. Also, for some reason, Lexus has decided not to make its hybrids ‘plug in’, meaning you can’t charge those electric motors at home. It’s an odd decision, that one. It’s not that it handles badly; it’s just that the Lexus RX 450h doesn’t handle as sharply as some of its rivals. Being a heavy SUV, we don’t expect fireworks in the corners but it would be nice to have a little more steering feel and a little less body roll. This is now a crucial area of any car, but in a luxury car like the Lexus RX 450h it takes on extra responsibility. It has to look and feel the business, and sadly Lexus is well behind when it comes to infotainment. It looks old, feels old, and has a clunky menu navigation system on top. Our school report says ‘must try harder’ here. The mid-sized SUV sector is currently the hottest sector in the car market, and with a refreshed Volvo XC90 arriving to challenge, things just got harder for the Lexus RX 450h. 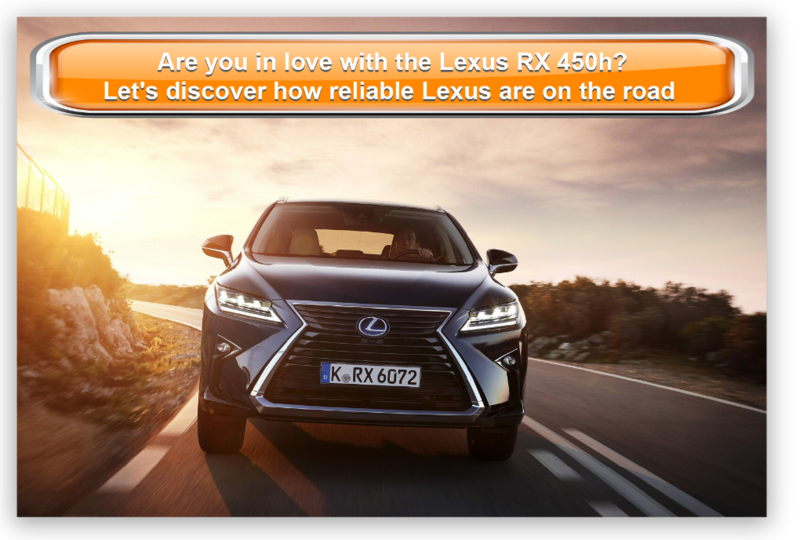 If that wasn’t enough, the Lexus RX 450h also has to compete with the BMW X5, an SUV that has been around for many years, and has often had the Lexus RX in its pocket. So, who has the edge now? Like it or not, the BMW X5 is already one of the all-time great SUVs and, like the Lexus RX, has been around since the last century. If you’ve been looking at the Lexus RX 450h first, your initial impression of the BMW X5 may be a little disappointing. It’s a far more reserved SUV in terms of styling and overall design, and simply doesn’t stand out as much as its Japanese rival. Admittedly, this will suit some buyers, though it does make it look a little bit old when parked next to the Lexus RX 450h. There is a strong difference in feel with the driving experiences of these two cars. The X5 retains BMW’s famous steering feel, and though it isn’t as impressive as it is in its saloon cars, it is still ahead of the Lexus RX 450h in terms of communication and overall balance. Like all SUVs, it is better to drive the X5 in a relaxed manner and ‘Sport’ mode is wasted on cars like this, there’s simply no hiding the vast weight of an SUV. The BMW X5 comes with a strong array of engine options both petrol and diesel, and there’s even a hybrid version available now. It differs to the Lexus RX 450h unit by allowing the owner to plug in and charge it up, so theoretically it may be possible to obtain better real-world MPG from the X5. Keep an eye on owners’ forums to see if this is the case. Inside, it’s the usual BMW layout and that is by no means a negative. 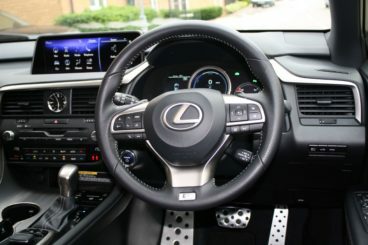 BMW makes some lovely interior spaces and the infotainment ‘iDrive’ system is one of the easiest to use and best laid-out on the market – it certainly has the edge on the ageing Lexus system. Despite the lovely finish, you can’t help but feel the Lexus’ interior is just a little bit ahead of the BMW’s, it just doesn’t feel quite as special or as cared for as the inside of the Lexus RX 450h. 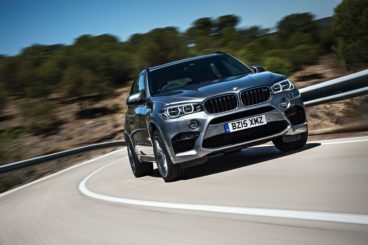 BMW X5 – Between £44,575 and £90,200. The last generation of the Volvo XC90 seemed to be around forever, but that didn’t put the buyers off. It sold incredibly well and buyers had nothing but positive comments to make on their purchase. Last year the next generation of Volvo XC90 arrived, and it blew the critics away. It is stylish, modern, luxurious, incredibly well equipped, and very safe. 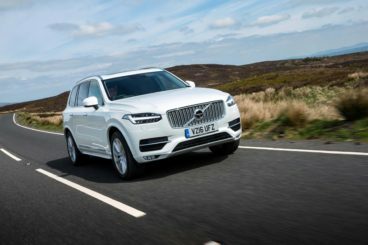 Volvo has claimed that nobody will be killed or seriously injured in one of its cars by 2020, and given the demonstrations of the new XC90 in crash tests, we are far more likely to believe them now than we ever did before. Under the bonnet, the Volvo XC90 comes with a choice of three engines, the first being a ‘T6’ petrol only unit. However, the diesel ‘D5’ is the one expected to make up most of its sales, and seeing as Lexus doesn’t offer diesel engines, you can’t help but feel the XC90 already has a head-start here – not that it needed one. There is also a hybrid ‘T8’ offered which, unlike the Lexus RX 450h, can be plugged in again, and is therefore theoretically better in the real world. Volvo has done a magnificent job in making the interior of the new XC90 light, modern, and stylish. It’s a triumph of Scandinavian interior design, and gives the Lexus RX 450h a real run for its money in terms of quality, too. We’ve got a feeling that this one will come down to personal preference, but there’s no denying the Volvo’s quality – it’s better than ever. It’s difficult to imagine an SUV being more comfortable than the Lexus RX 450h, but with the Volvo XC90 you don’t have to – because it is. The trade-off for this super-soft ride quality is disappointing cornering, but then again, who wants to take corners quickly in a two-tonne SUV? This is as competitive as segments get, and the BMW X5 and Volvo XC90 are both highly accomplished cars. The rivals are impressive, but there is something to be said for Lexus’s superb design and focus on comfort and refinement, above all else. The only problems the Lexus has are technical oversights. The decision not to offer a diesel engine is a business decision by Lexus, and in terms of refinement it is absolutely right, but in terms of delivering a package that British buyers can really get behind, the Japanese automaker is absolutely missing a trick. BMW and Volvo will sell far more vehicles purely because they are offered with some diesel engines, and why the Lexus RX 450h isn’t a plug in is still a bit of a mystery. Ultimately, if you’re looking for a certain type of SUV, the Lexus RX 450h will deliver a brilliant package. However, the lack of a solid infotainment system and an absence of foresight with engine options will infuriate some, as the Lexus RX 450h is clearly close to being something special.